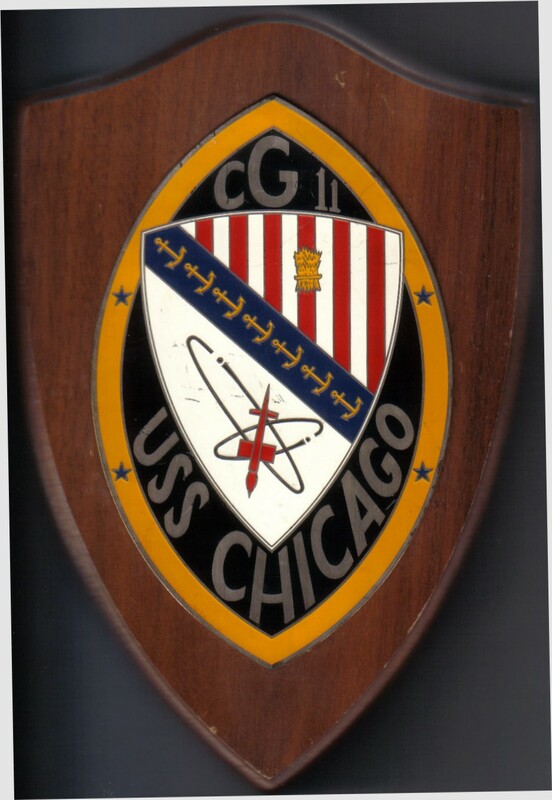 Armor, 6" Belt, 2 1/2" Deck. 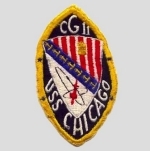 Speed, 32 Knots, Crew 1222. 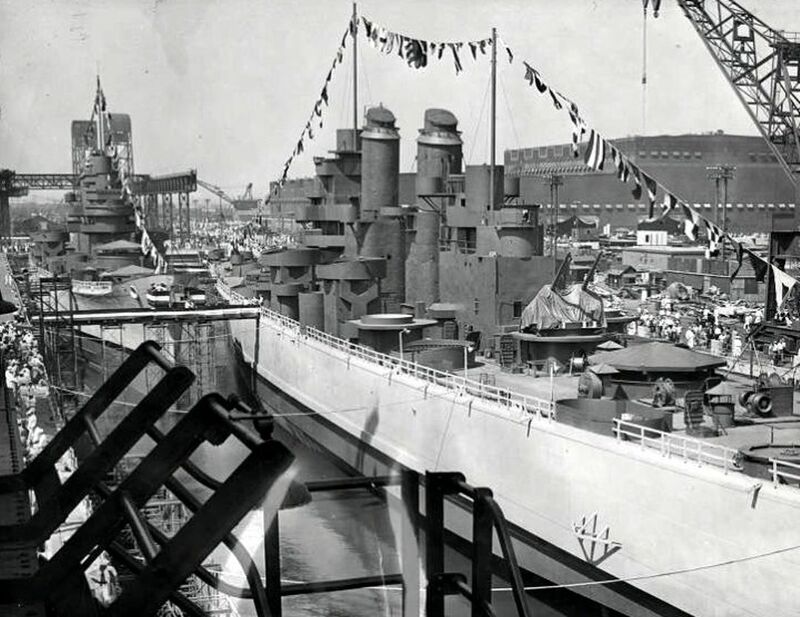 Two Baltimore class cruisers USS Los Angeles (CA 135) (background) and USS Chicago (CA 136) on 21 August 1944 at the Philadelphia Navy Yard, afloat one day after they were launched in the dry dock that they were built. 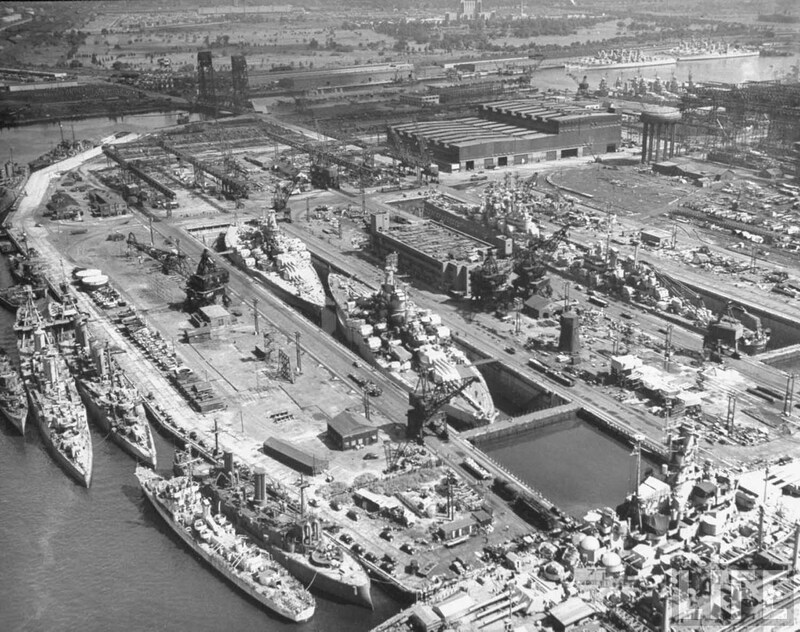 The Reserve Basin at the Philadelphia Naval Shipyard 29 August 1946. 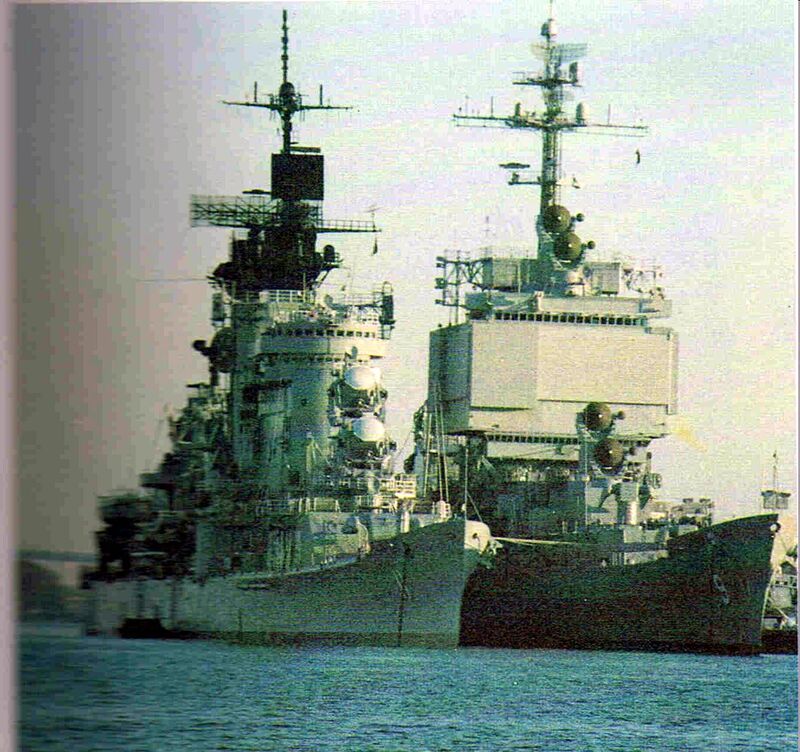 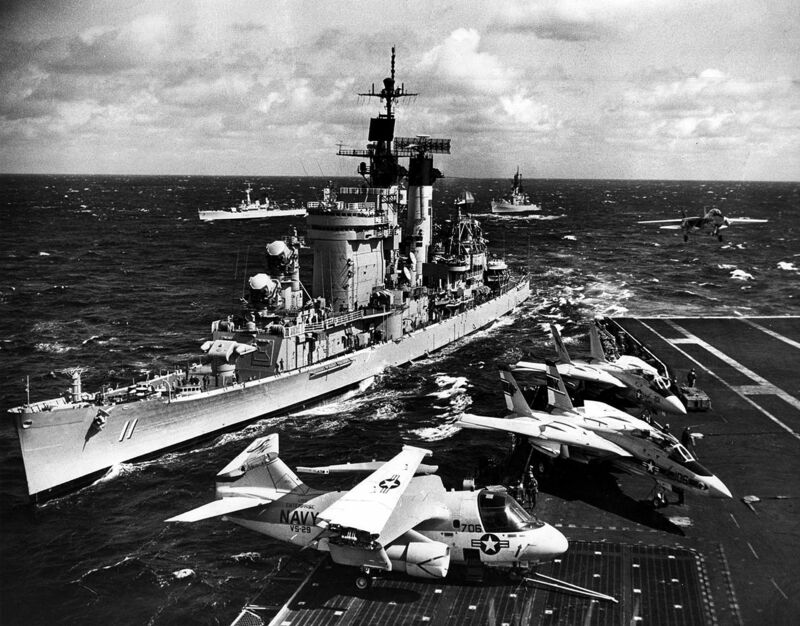 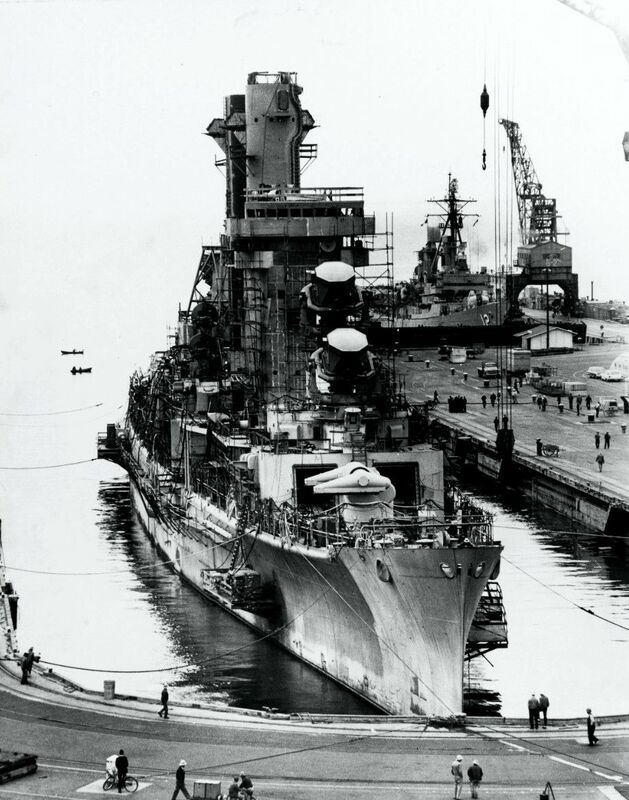 The battleship South Dakota (BB 57) is in the foreground. 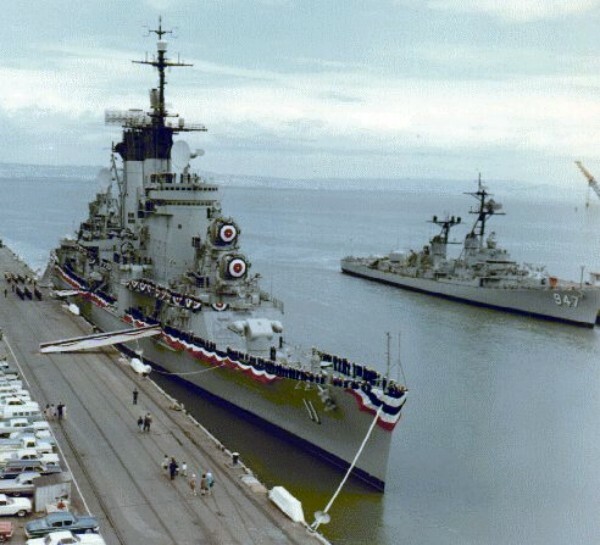 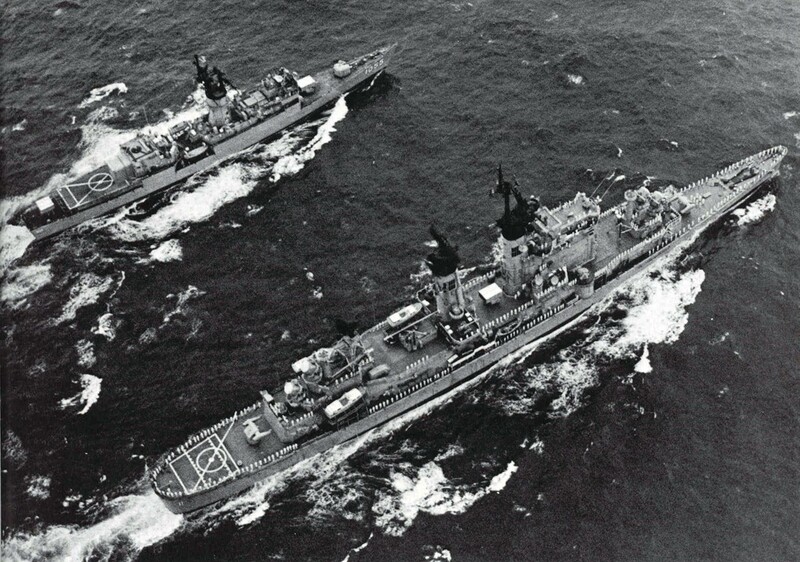 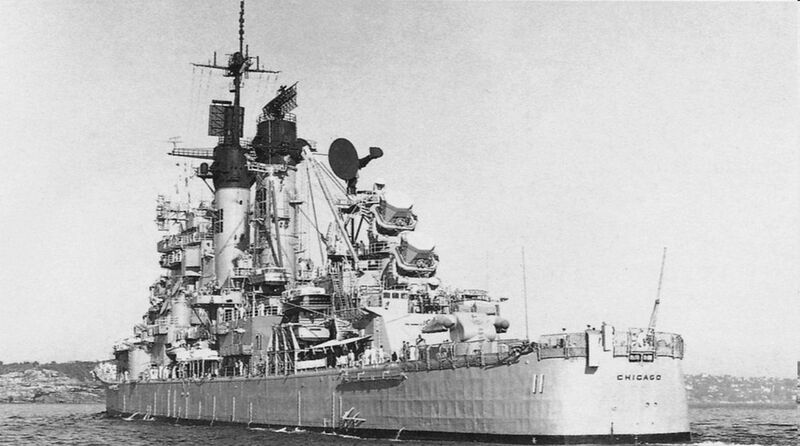 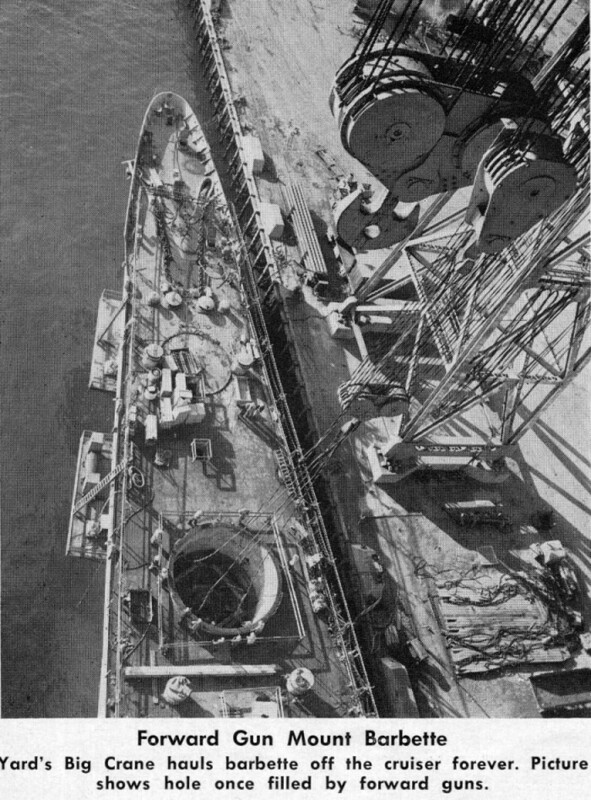 The Tennessee (BB 43) is to the upper left and the California (BB 44) is to the lower right. 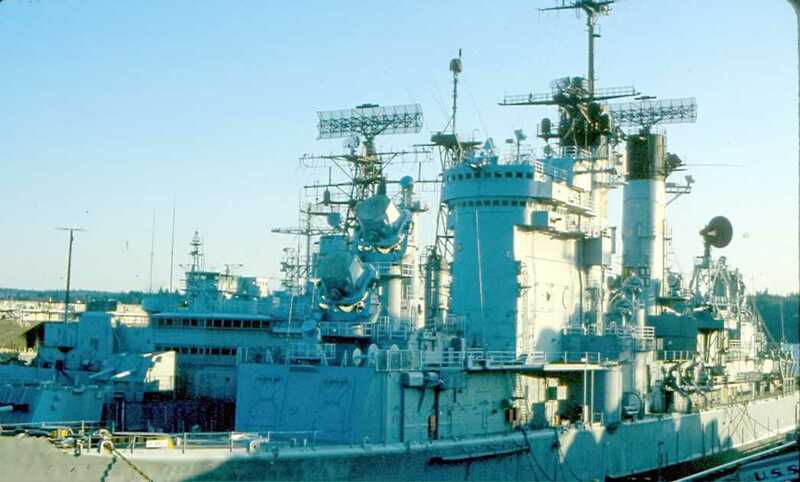 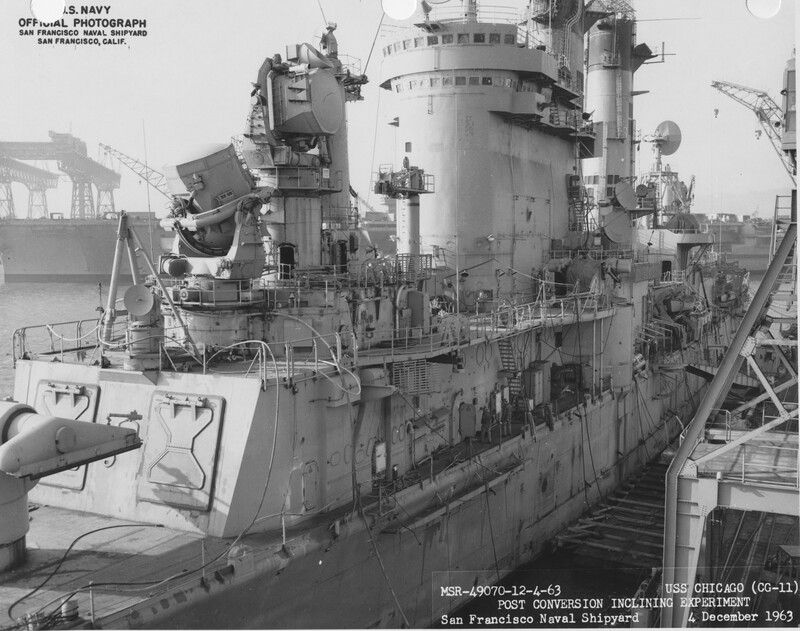 Note also the Los Angeles (CA 135) & Chicago (CA 136) in Drydock # 4 and two Omaha-class Light Cruisers to the far left of the photo. 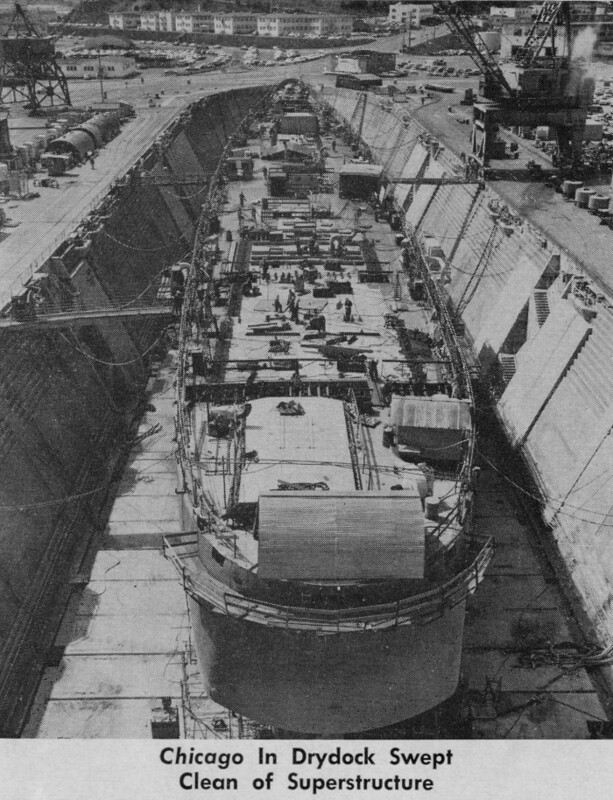 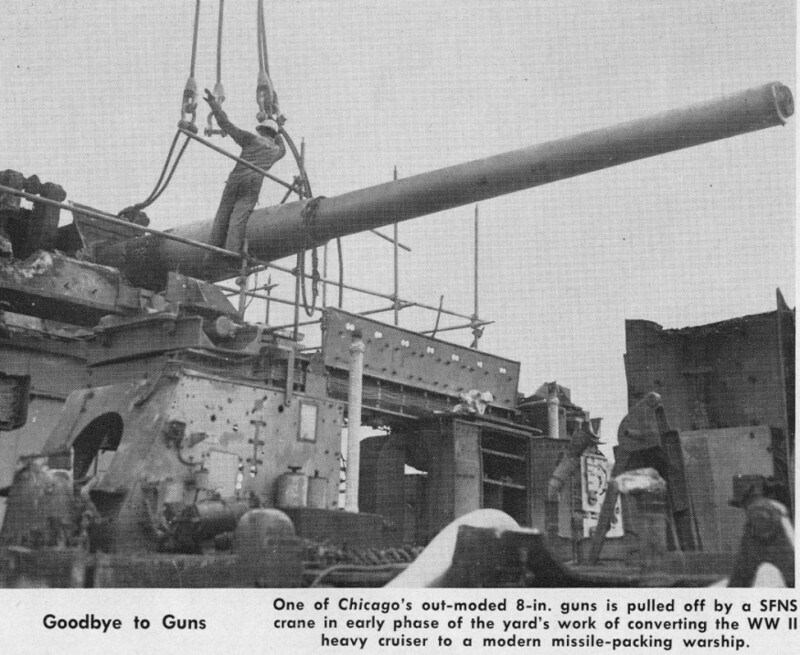 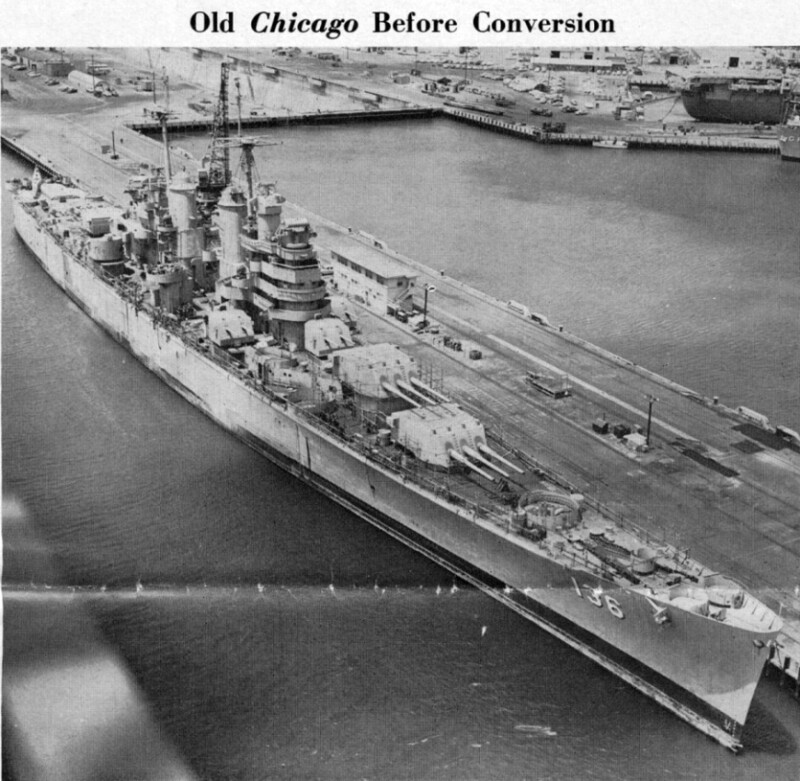 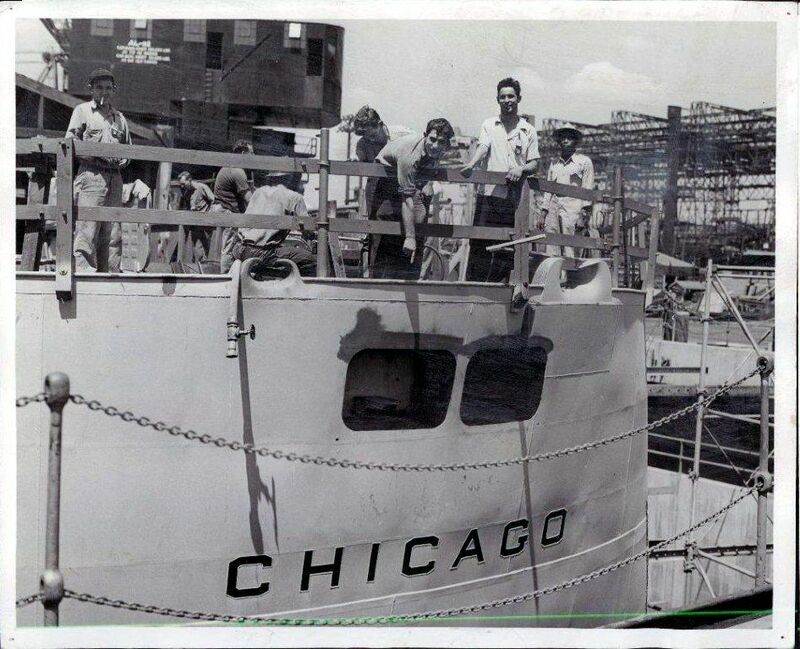 USS Chicago (CG 11) in dry dock No. 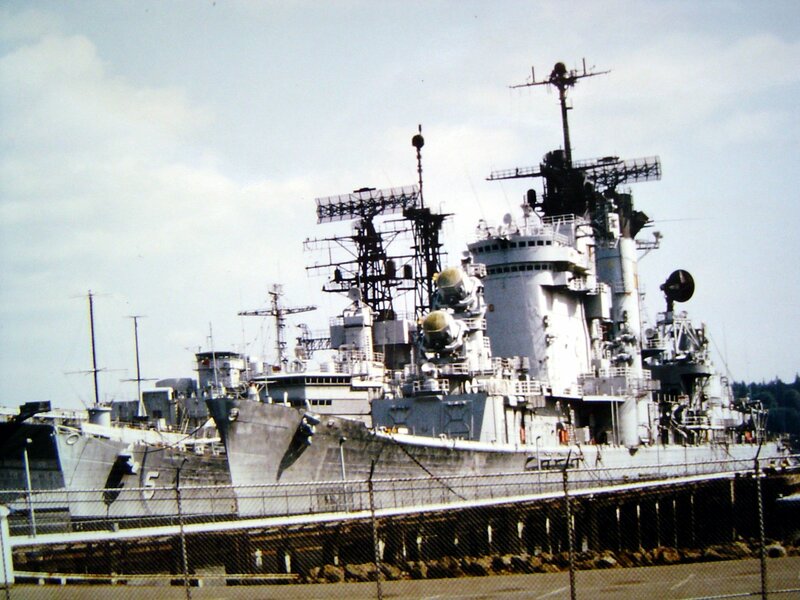 4, San Francisco Bay Naval Shipyard Hunters Point, during 1962. 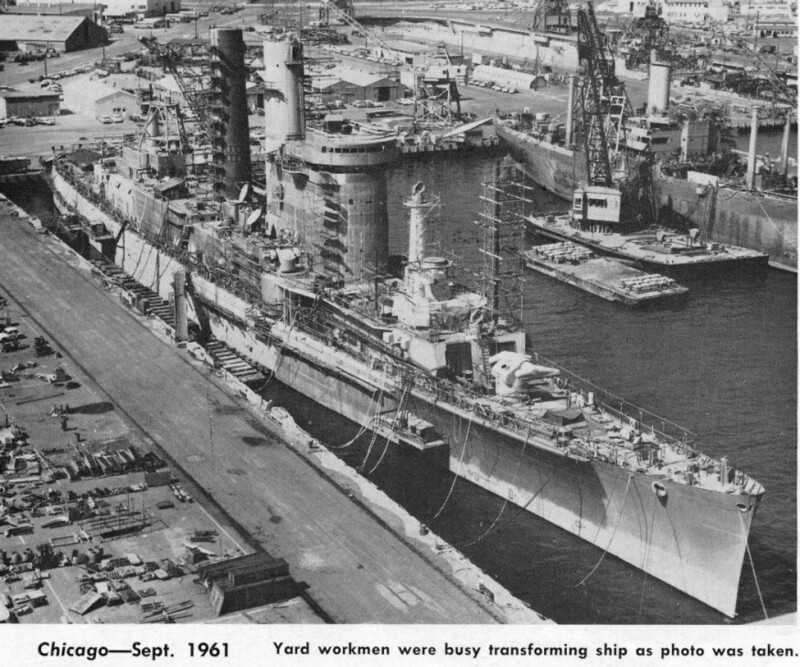 USS Robison (DDG 12) appears at Berth No.10 beyond; and an unidentified guppy modernized "fleet type" submarine can be seen at the end of the dock assisted by unidentified yard tugs. 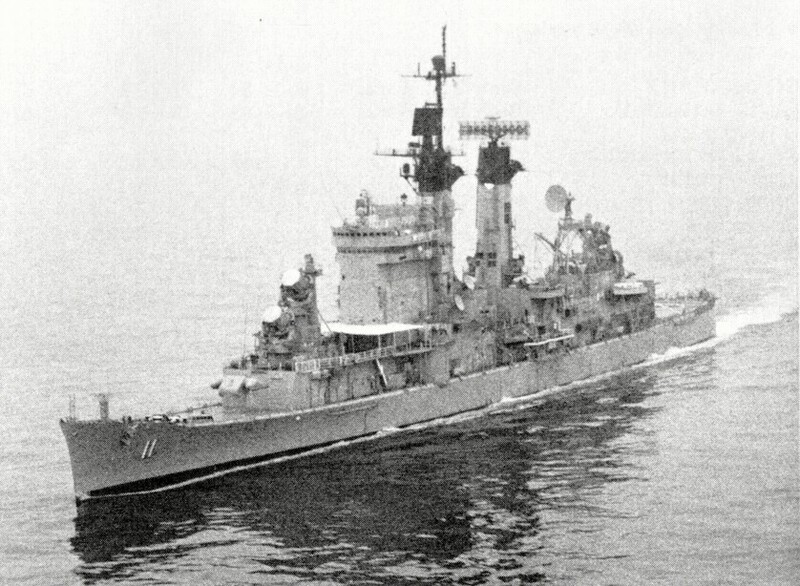 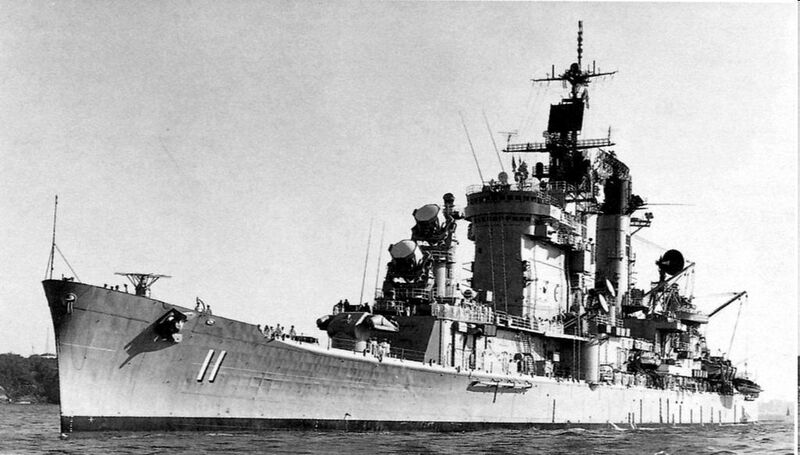 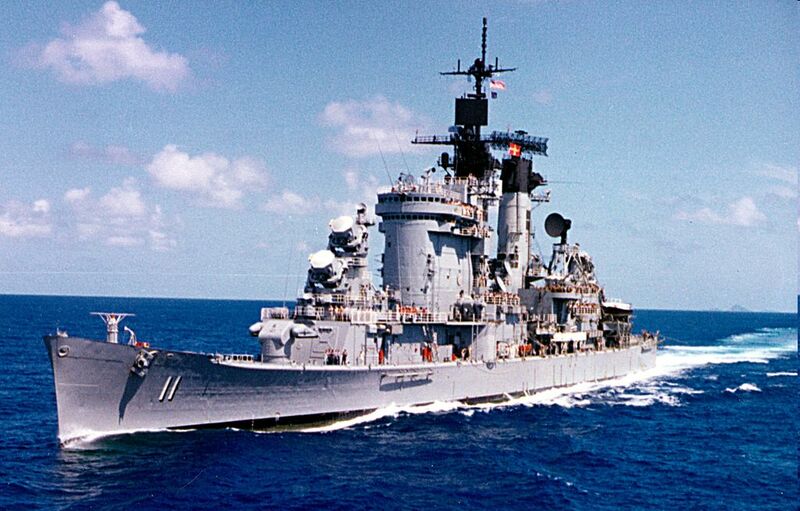 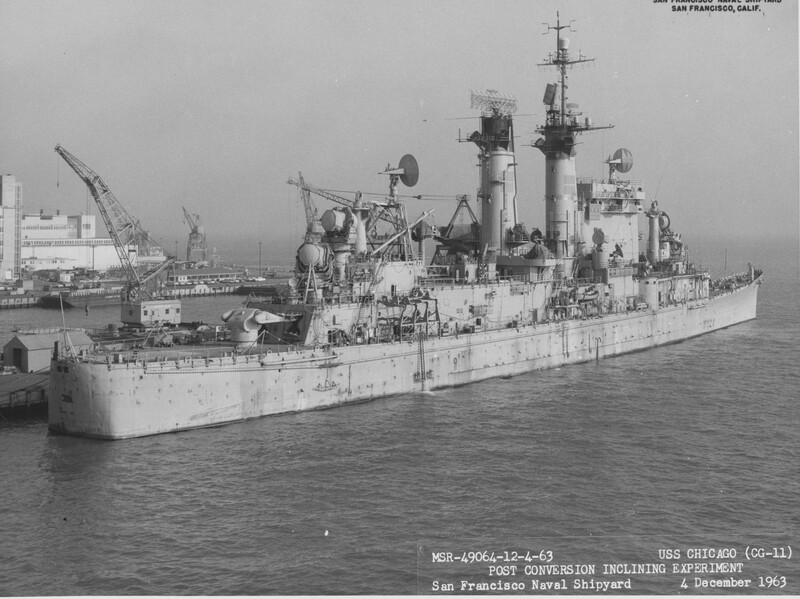 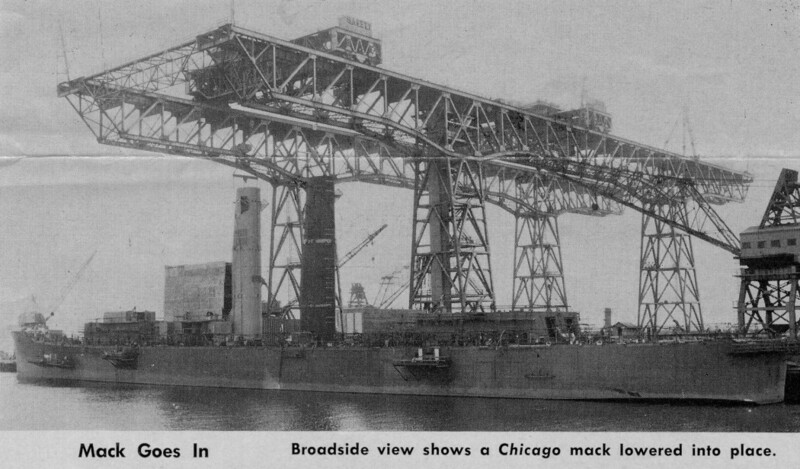 Undated port bow view while underway. 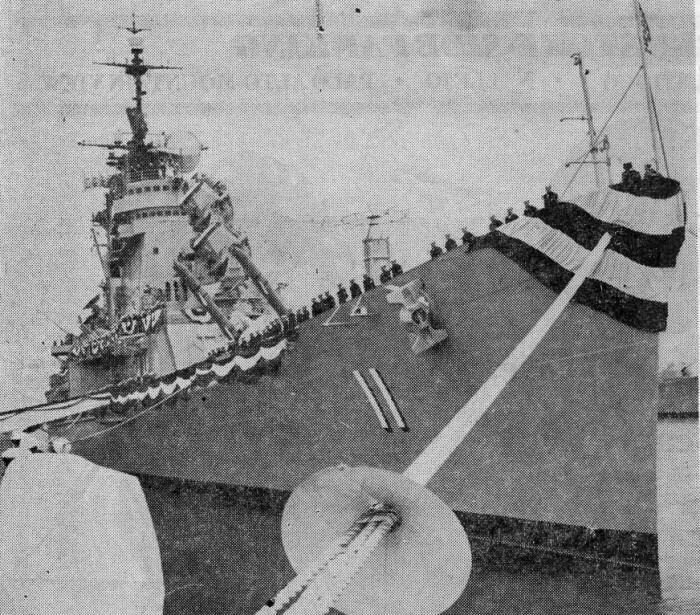 Starboard bow aerial view, date and location unknown. 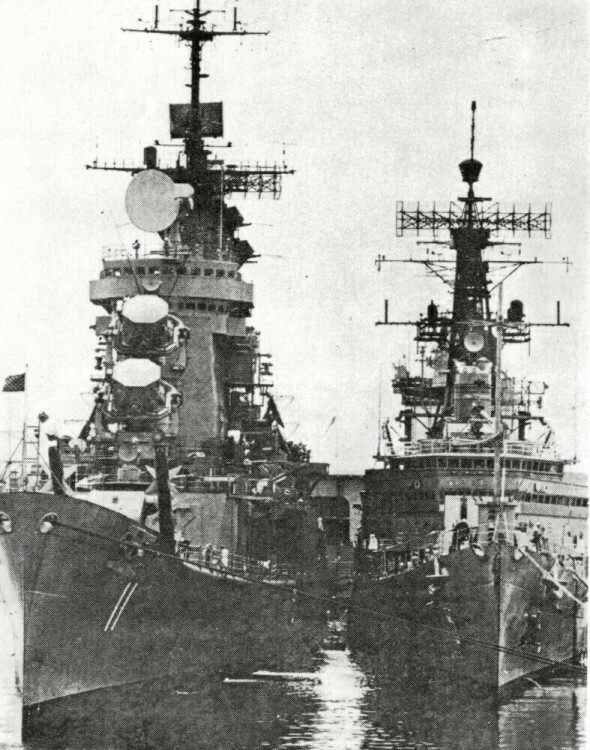 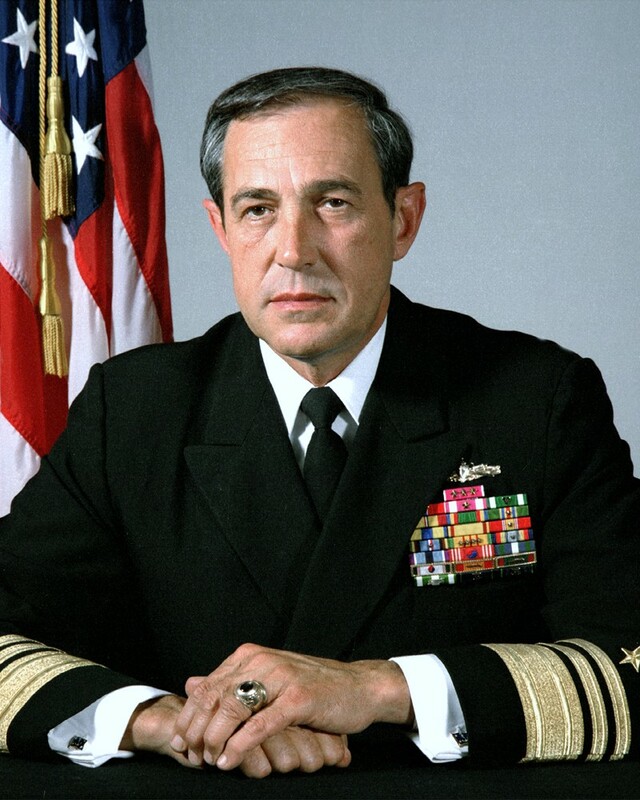 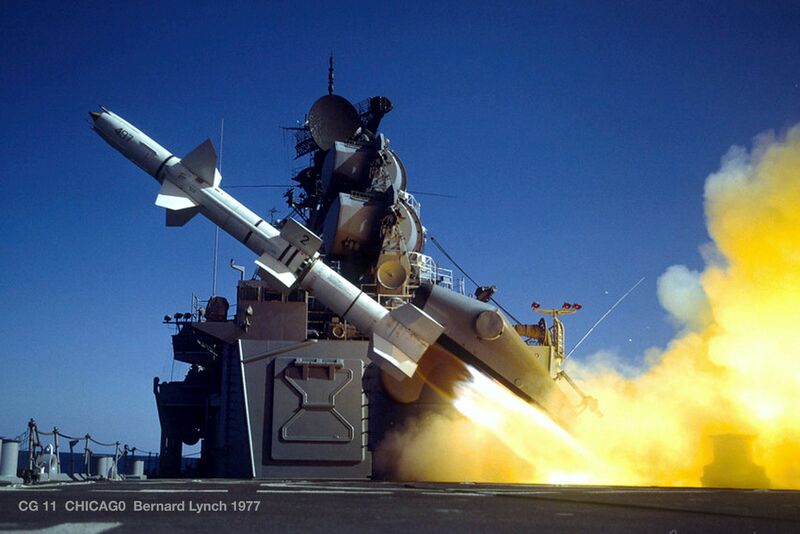 Note the 2 5"/38 gun mounts mid-ships. 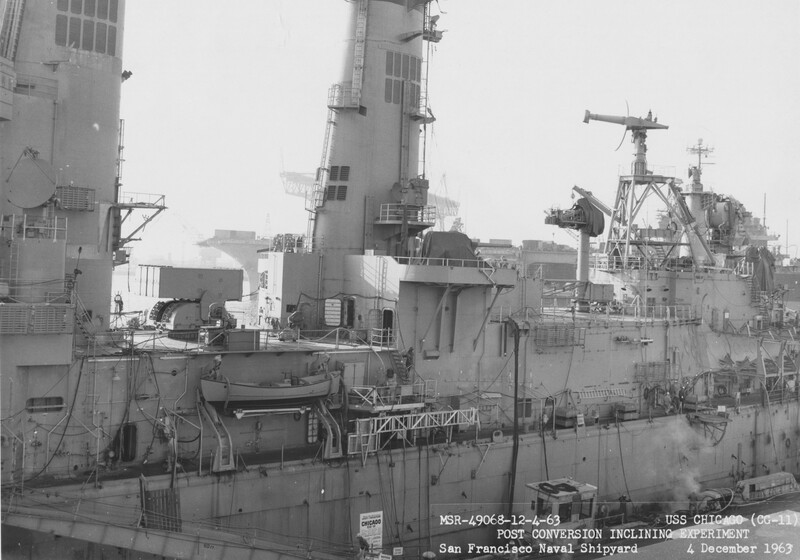 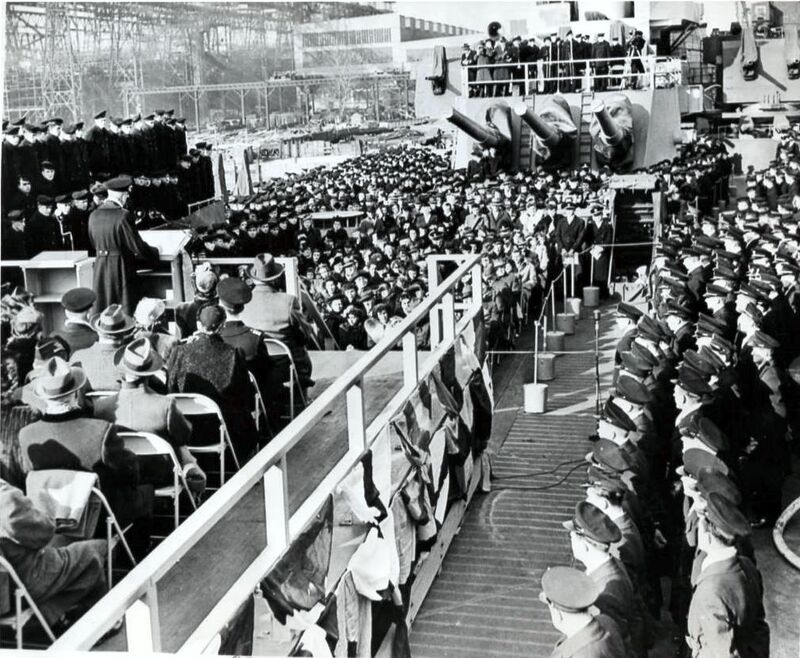 Naval Shipyard Hunters Point San Francisco, Historic Shipyard Photographic Collection 1904-1974 - NARA San Francisco. 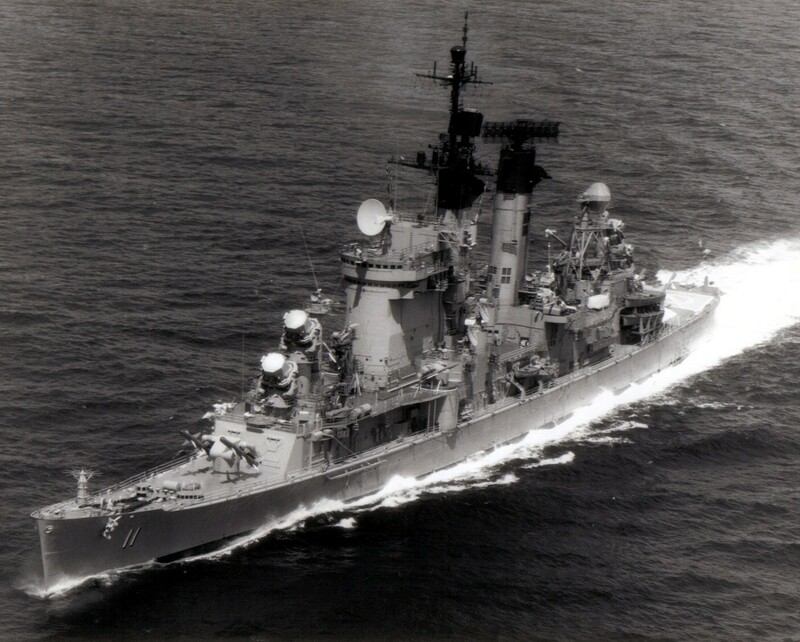 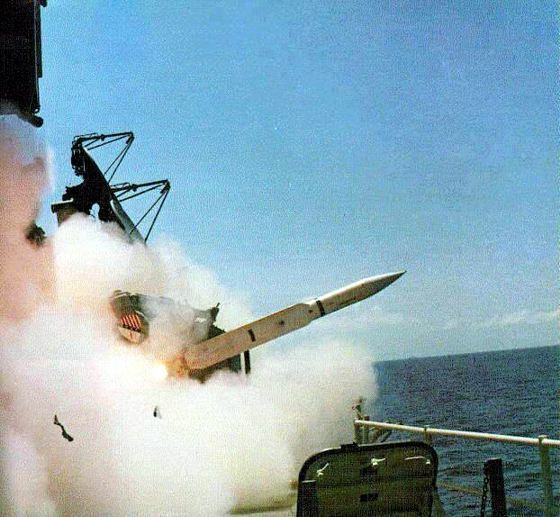 Underway in 1965, location unknown. 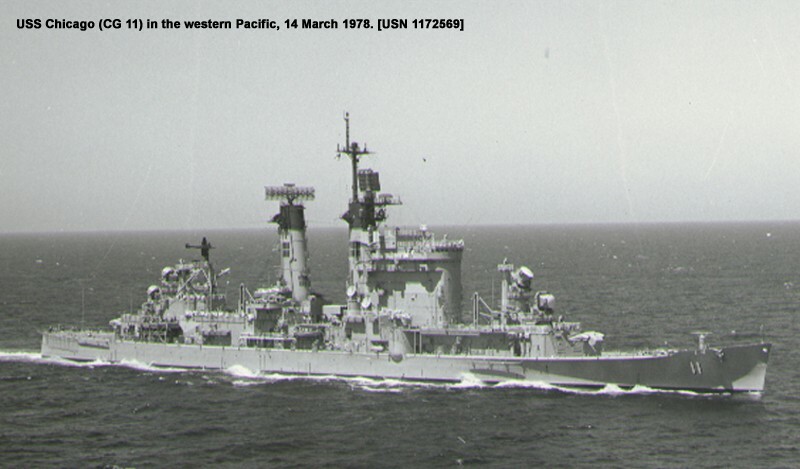 Port bow view, Western Pacific, 14 March 1978. 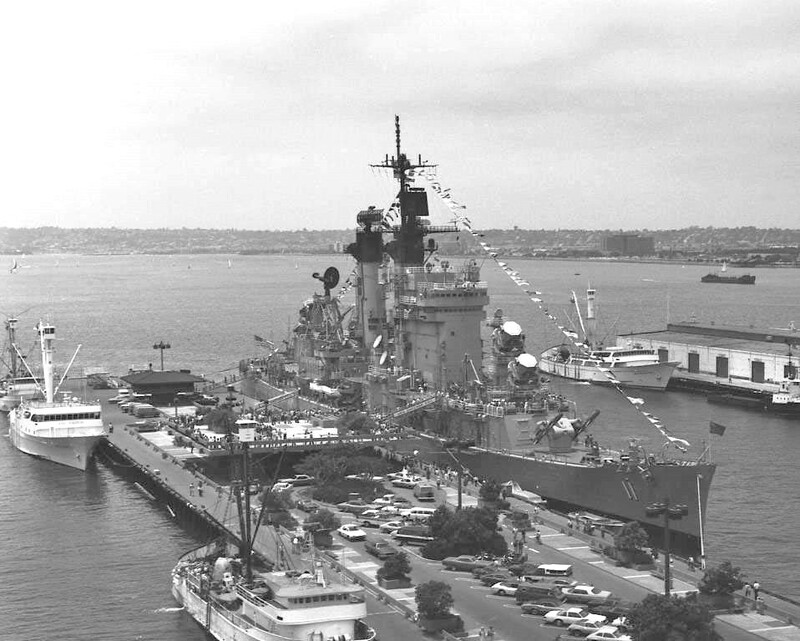 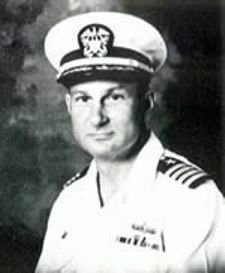 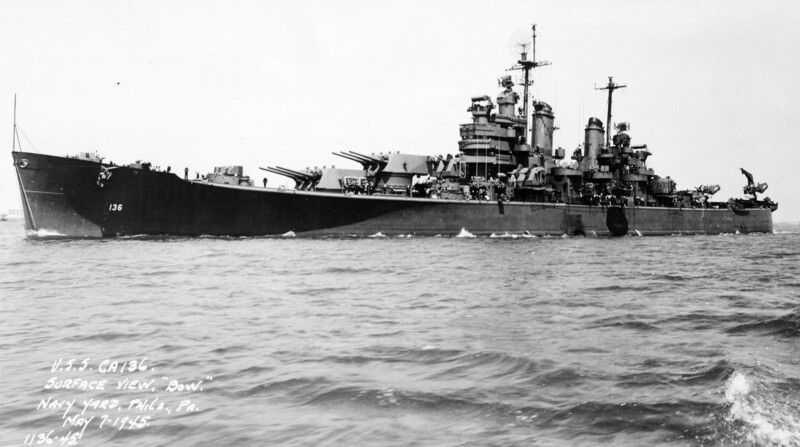 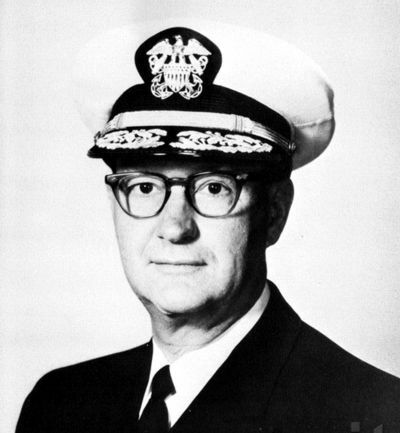 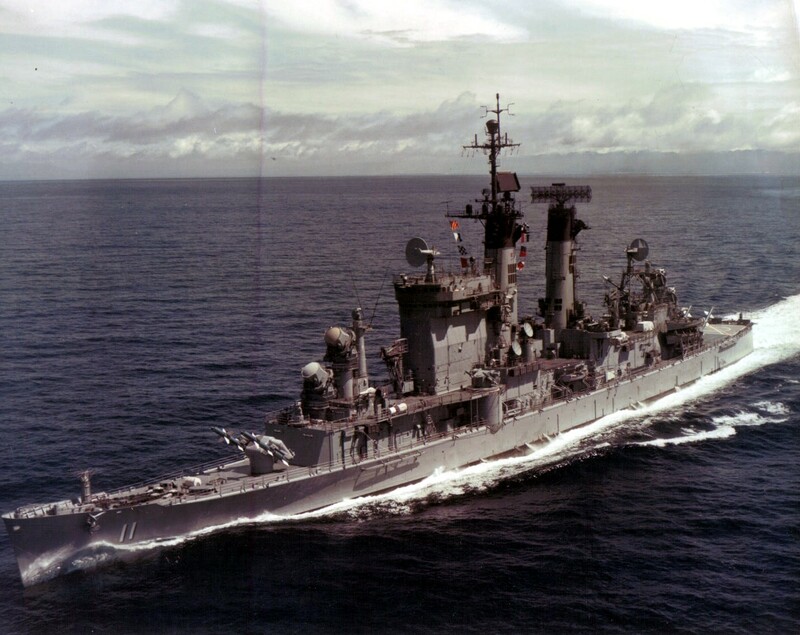 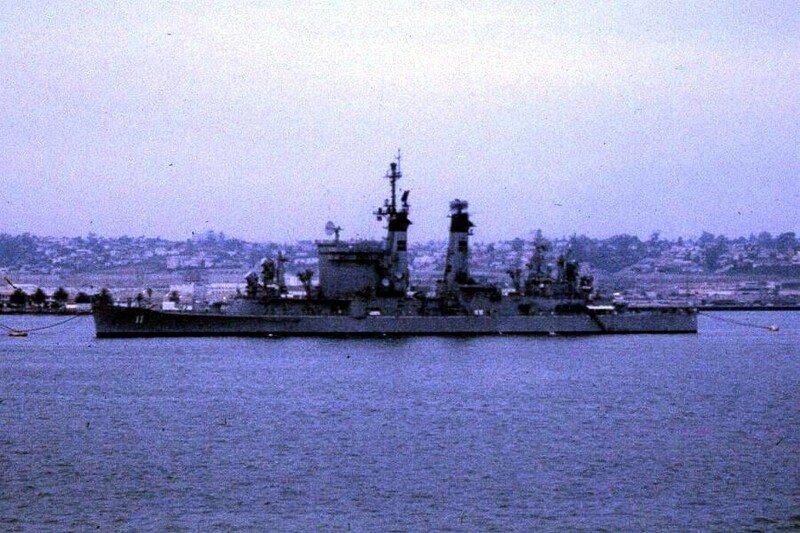 She proceeded to Sydney for a week immediately after KANGAROO II, and subsequently arrived back in San Diego via Subic Bay and Pearl Harbor on 17 December to begin preparations for her de-commissioning. 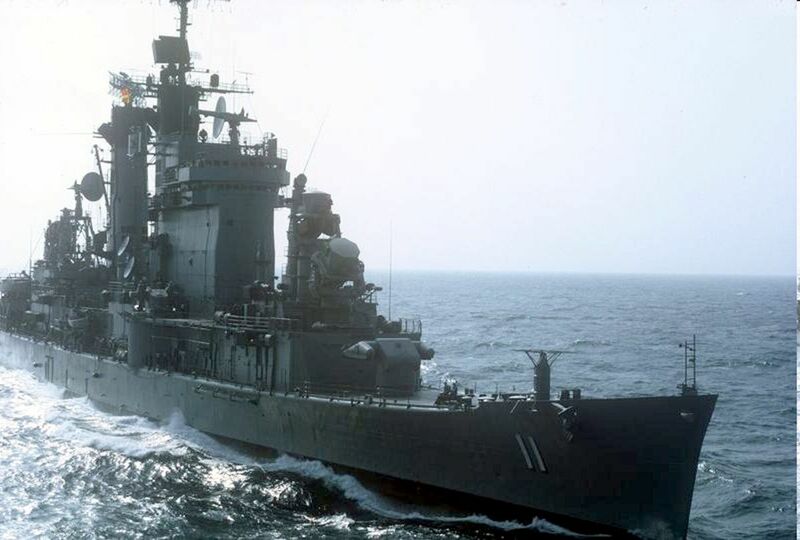 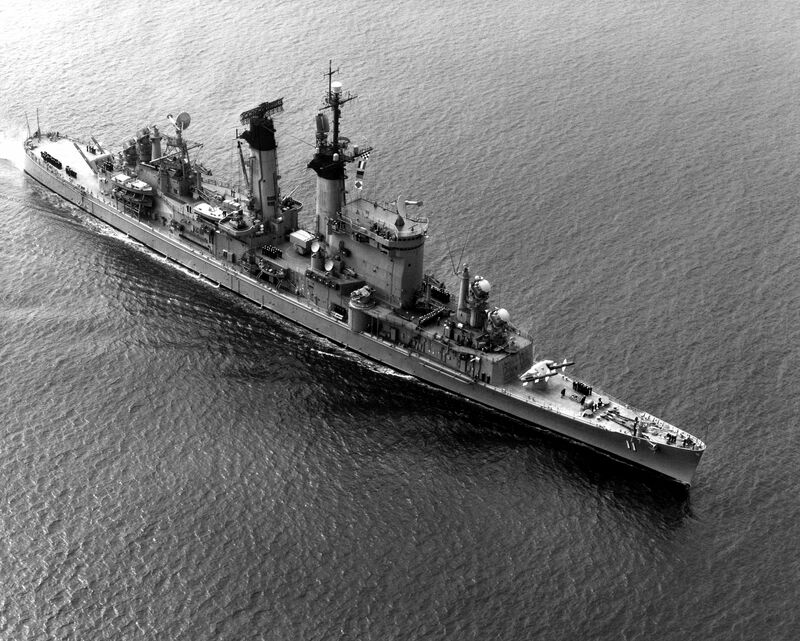 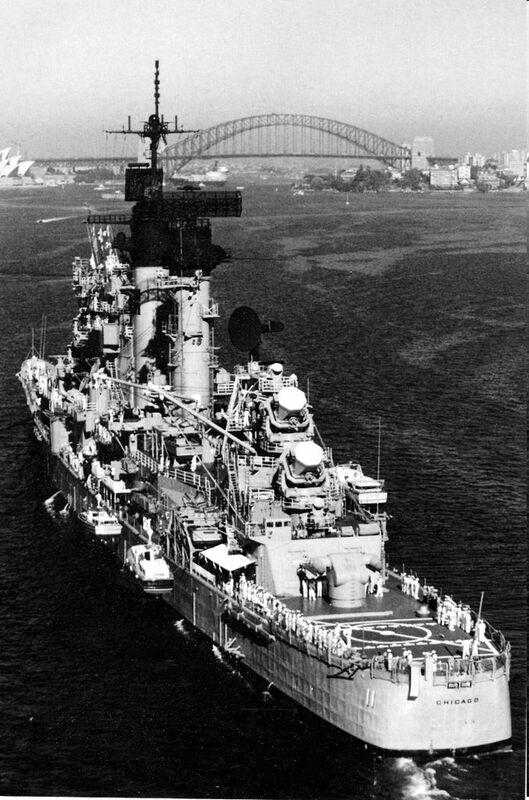 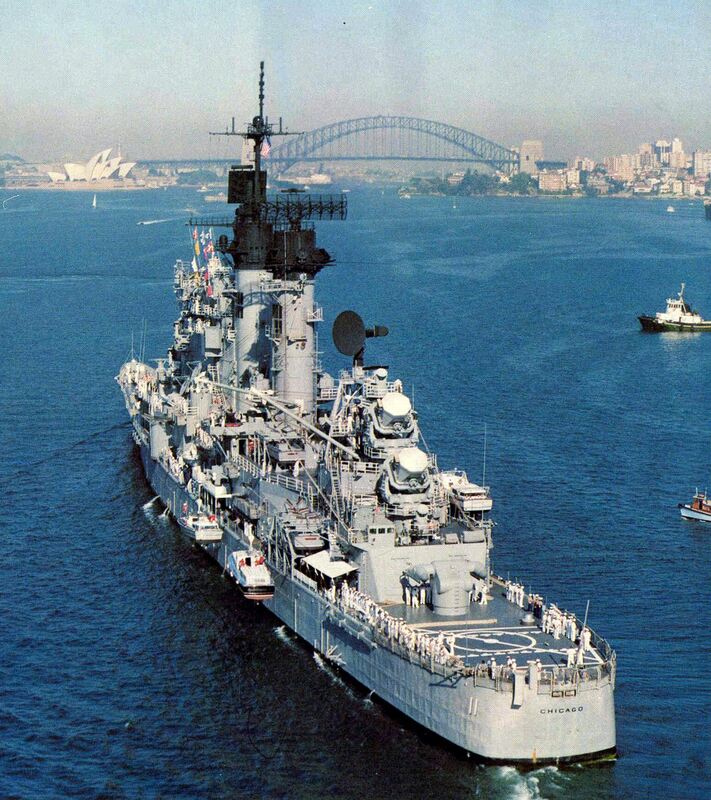 Chicago arriving in Sydney harbor in November 1979 after participating in exercise KANGAROO II.